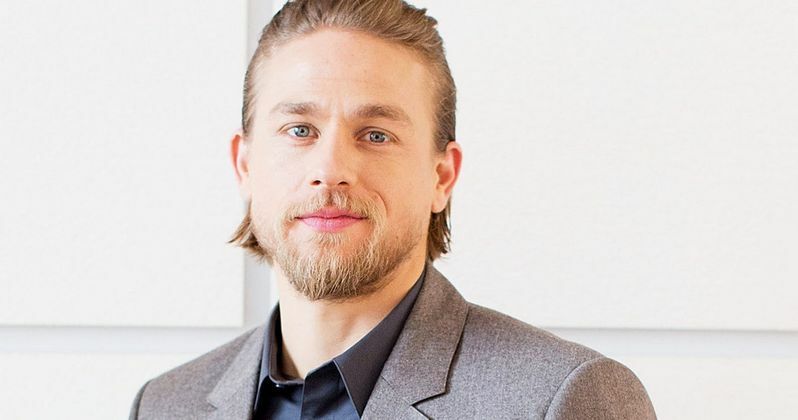 Sons of Anarchy star Charlie Hunnam has signed on to join Robert Pattinson and Sienna Miller in the adaptation The Lost City of Z. No details were given on what character he is playing in this adaptation of David Grann's non-fiction best-seller of the same name, which explores the true story of British soldier and spy Percy Fawcett. The story follow Fawcett as he leaves the Victorian society in 1925 to explore in the Amazon jungle with his son, obsessed with finding a civilization known as Z. Neither Percy nor his son were ever heard from again. Facwett's expeditions helped inspire author Arthur Conan Doyle's The Lost World. Benedict Cumberbatch was at one point attached to play Fawcett, but he is no longer involved with the project. James Gray (We Own the Night, Two Lovers) is directing from his own adapted screenplay, with Plan B's Brad Pitt, Dede Gardner and Jeremy Kleiner producing alongside Dale Johnson and Anthony Katagas. Sierra/Affinity is handling foreign sales at the European Film Market in Berlin this week, with production slated to begin this summer. After wrapping up his seven-season run on Sons of Anarchy in December, Charlie Hunnam will next be seen in Crimson Peak, which is slated for release this October. He is also starring in upcoming projects such as Knights of the Round Table and The Mountain Between Us.